The Centers for Disease Control and Prevention (CDC) define pregnancy-related deaths as ‘the death of a woman while pregnant or within 1 year of pregnancy termination—regardless of the duration or site of the pregnancy’ and excluding any accidental causes. According to the CDC over ‘600 women die’ in the US each year. Maternal mortality in the United States has declined during the long twentieth century. However, a recent study in Obstetrics and Gynecology, popularly known as the ‘The Green Journal’, found an increase in maternal death in the US from 200o to 2014. The New York Times reported last month that the State of Texas had the highest maternal death rate in the US of 35.8 per 100,000. The authors compared the US maternal mortality ratio with other countries such as Germany and Mexico. In 2014, Germany had 4.1 deaths per 100,ooo live births and Mexico had 38.9 deaths per 100,000 live births. The Editorial Board summarized the factors contributing to the increase in US maternal death to a systemic inequality in the US health care system, reduction of state spending on women’s health care, lack of Medicaid expansion and a lack of public engagement. The authors acknowledged, however, that in the State of California, doctors, hospitals, insurance companies and public interest groups were working together to focus on reducing maternal mortality. Perhaps then, the public disinterest in maternal morality reflects the wider popular political discourse on women’s health as centered on issues such as abortion, contraception and cancer screenings. In fact, a popular narrative has emerged of pregnancy and childbirth as ‘safe and natural’ experiences for the female body. For example, a US TV Network aired a show called Born in the Wild filming women giving birth outdoors. Although the show did not accept first time mothers for filming, it nevertheless represented the experience of non-medical childbirth as a return to ‘Mother Nature’. 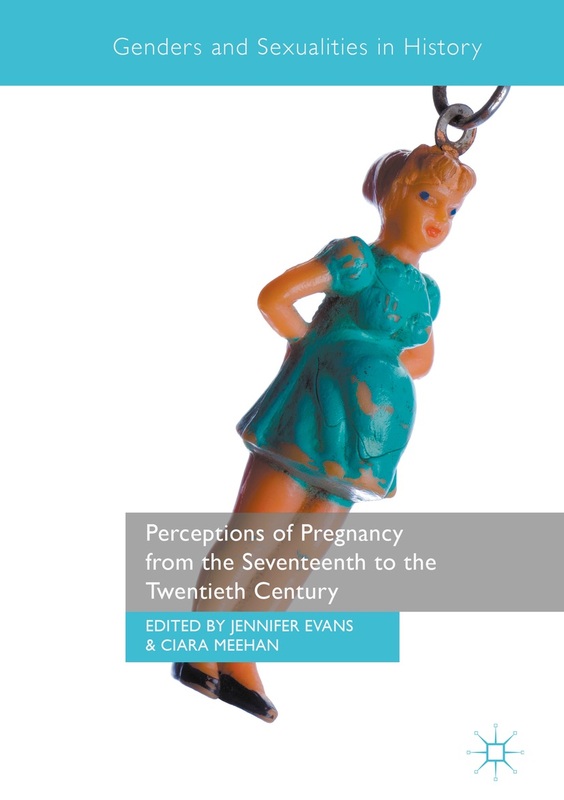 The social and popular depiction of childbirth as a ‘natural’ process, perhaps, has diminished the understanding of potential serious risks related to pregnancy, delivery and post-partum recovery. Sadly, the US did not meet the United Nations Millennium Development Goal for maternal mortality reduction of 75% by 2015. Diana Phillips noted that the results from the Obstetrics and Gynecology study revealed inconsistent reporting by individual states. The information in the study was gathered from a new checkbox from ‘the addition in 2003 of a pregnancy question to the US standard death certificate.’ Nevertheless, the study concluded that nearly all of the 48 contiguous states and the District of Columbia demonstrated an increase in maternal mortality. Philips also explores another study that revealed ‘that pregnancy-associated deaths due to violence are three times more likely than deaths associated with the leading pregnancy-related causes of maternal mortality.’ Women are the most vulnerable to acts of violence during and after pregnancy. It is important to reveal the social causes of death for this cohort of women as they are excluded by the CDC’s definition of maternal death. As president, I will expand home visiting programs nationwide, by doubling our investment in initiatives such as the Maternal, Infant, and Early Childhood Home Visiting (MIECHV) program. These programs— which provide home visits by a social worker or nurse during and directly after pregnancy—significantly improve maternal and child health, development, and learning. For the reduction of maternal morality to be successful, it must be part of a wider campaign. It could be part of MIECHV or another national program. Overall, maternal health is part of women’s health and needs to be included as a central issue in current political debates. According to Charlotte Alter at Time Magazine, Donald Trump, ‘stuck to his campaign’s opposition to abortion, announcing the formation of a new Pro-Life Coalition, which will be led by Marjorie Dannenfelser of Susan B. Anthony List, a major pro-life political organization.’ Alter also reported that Trump would appoint pro-life justices and support legislation to defund Planned Parenthood. Neither Clinton or Trump then offer an explicit policy statement on reducing maternal mortality. In 2006, I was captivated by the passionate speeches of the pro-choice and pro-life activists. Ten years later, I am aghast by the lack of political interest in reducing the maternal mortality rate in the United States. Improving women’s health care requires an in-depth discussion of reproductive health issues outside abortion rights and access. While the policy debate around abortion is important, it nevertheless overshadows other important women’s health issues, such as maternal mortality. Thus, the issue of maternal death needs to be part of a wider discussion on women’s health care. Through bi-partisan policy initiatives, activism and education the US can reverse the maternal mortality trend. Without any action, these rates may continue to rise. Social and popular depictions of childbirth as ‘natural’ and ‘safe’ diminish maternal mortality as serious and important national issue. Beyond abortion and contraceptive access, maternal mortality needs to be a central issue when discussing women’s health. Laura Neff is a PhD candidate at Royal Holloway interested in the History of Surgery, Tropical Medicine, Forensics, Medicine in the British Empire and the History of Medicine in America. Her PhD research focuses on the history of abdominal surgery in London 1860-1890. CDC, Pregnancy Mortality Surveillance System 1 20 2016 [http://www.cdc.gov/reproductivehealth/maternalinfanthealth/pmss.html] Accessed 10 01 2016. CDC, Pregnancy-Related Deaths 1 12 2016 [http://www.cdc.gov/reproductivehealth/maternalinfanthealth/pregnancy-relatedmortality.htm] Accessed 10 1 2016. ACOG, Obstetrics & Gynecology (The Green Journal)[http://www.acog.org/About-ACOG/Green-Journal-Info] Accessed 10 1 2016. Obstetrics & Gynecology is the Official Publication of the American College of Obstetricians and Gynecologists (ACOG). Marian F. MacDorman, Eugene Declercq, Howard Cabral, and Christine Morton, ‘Recent Increases in the U.S. Maternal Mortality Rate: Disentangling Trends From Measurement Issues’, Obstetrics & Gynecology, Vol. 128 Issue 3 (September 2016): pp. 447-455. The Editorial Broad, ‘America’s Shocking Maternal Deaths’, The New York Times 9 3 2016 [http://www.nytimes.com/2016/09/04/opinion/sunday/americas-shocking-maternal-deaths.html?smid=tw-share] Accessed 10 1 2016. Andrea Morabito, ‘Lifetime to deliver new reality show “Born in the Wild”’, NY Post, 1 9 2015 [http://nypost.com/2015/01/09/lifetime-to-deliver-new-reality-show-born-in-the-wild/] Accessed 10 1 2016. Diana Phillips, ‘Maternal Mortality Rates on the Rise in Most US States’, Medscape 8 8 2016 [http://www.medscape.com/viewarticle/867225] Accessed 10 1 2016. Lillian Mongeau, ‘Hillary Clinton Answers 10 Questions on Early Education’, The Atlantic 9 26 2016 [http://www.theatlantic.com/education/archive/2016/09/hillary-clinton-answers-10-questions-on-early-education/498659/]Accessed 10 1 2016. Human Resources and Services Administration, Home Visiting 7 2016 [http://mchb.hrsa.gov/maternal-child-health-initiatives/home-visiting] Accessed 10 1 2016. Charlotte Alter, ‘How Donald Trump Is Trying to Win Over Women Voters’, Time Magazine 9 16 2016 [http://time.com/4495895/donald-trump-womens-issues/]. Accessed 10 1 2016. This entry was posted in Blog Posts, Past Posts, Uncategorized and tagged maternal health, motherhood, politics, pregnancy. Bookmark the permalink.